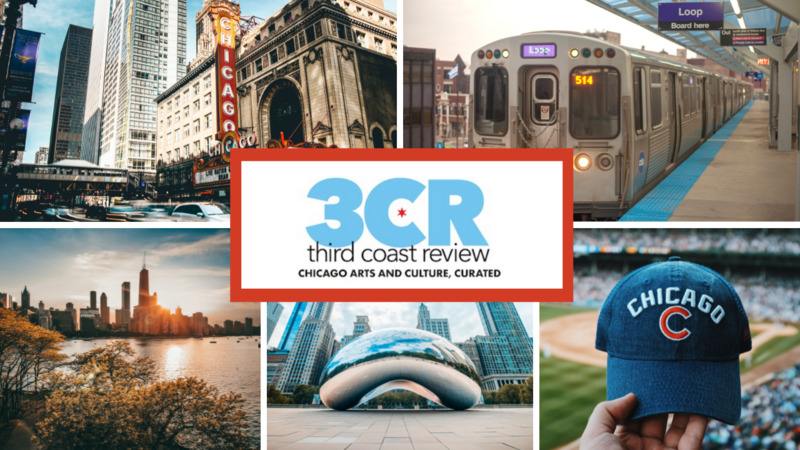 There are some shows that seem tailor made to my tastes, where every band is not just one that I know, but is one that I am currently obsessed with. 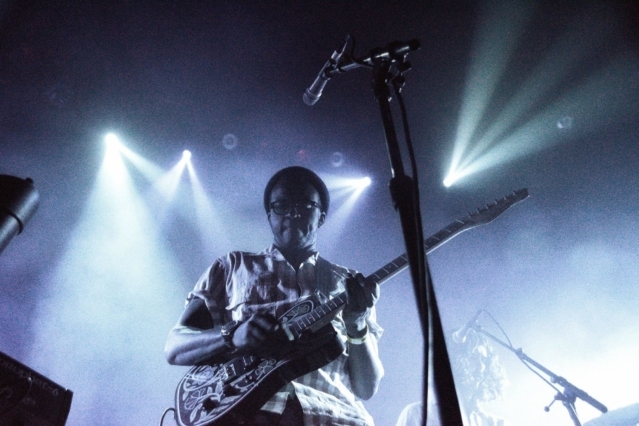 So when the news came that Son Lux, Sinkane, and Hanna Benn were touring together and playing Lincoln Hall on their Chicago stop, I knew the show would be great and that I had to be there. I was expecting a lot from the groups’ show last week and they delivered much more than I already expected. 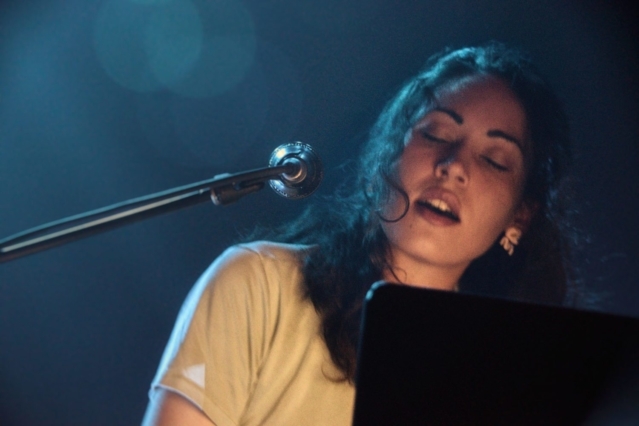 Hanna Benn began the night, coming out to the stage alone, stationed at a table with her laptop and mixers carefully arranged in front of her. 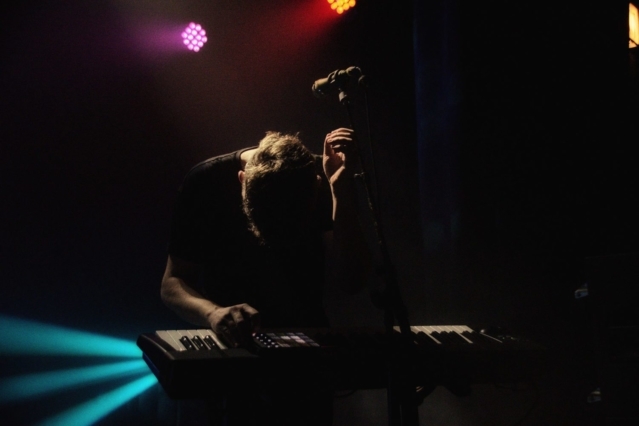 As an electronic composer, Benn’s sound is layered and intricate. 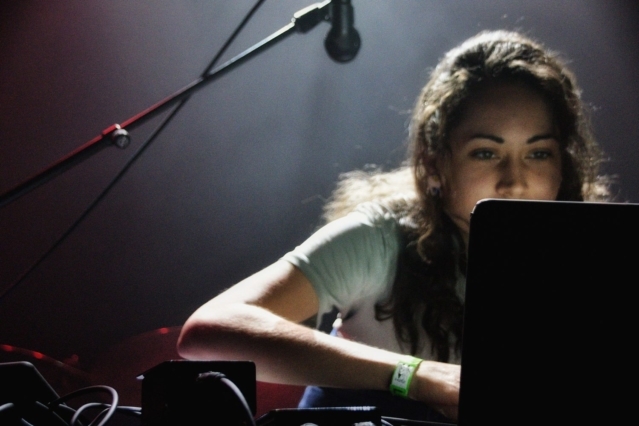 Every track took time to ramp up as she slowly built her songs piece by piece, loop by loop. 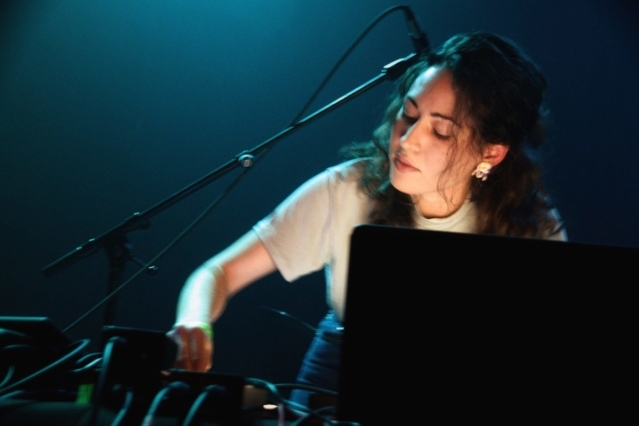 “You can vibe out for a bit” she told the crowd as see she moved around her equipment, diligently crafting these songs until the moment came where Benn let her voice break through the complex and experimental soundscapes. Nearly every track was an ethereal experience you just get lost in. 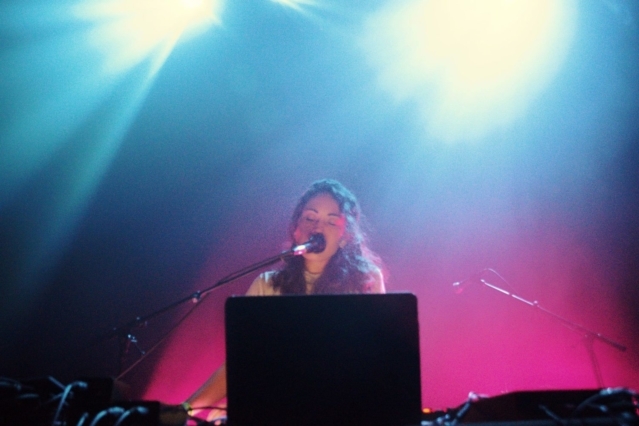 Although her set was short, her songs were incredible and the melodic tones she was putting out into the room matched her excellent stage presence. 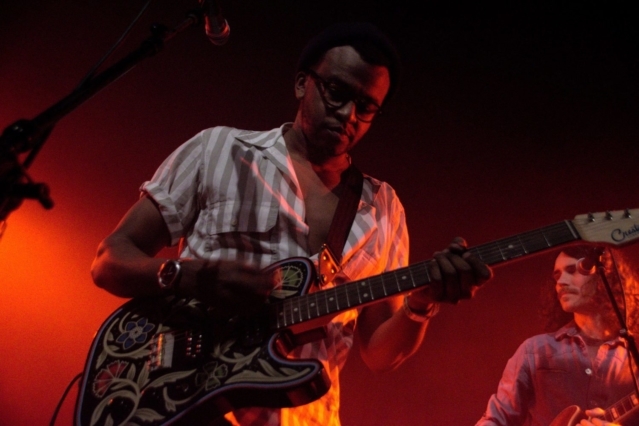 Immediately after Benn’s calming vibes came Sinkane‘s ecstatic and boisterous grooves. Having seen them last year headlining this very venue, I had a feeling that I knew just how good this spot in the night was going to be. Sinkane, lead by Ahmed Gallab, took those expectation and flew right over them. What I thought would have been snapshot of their usual energy turned out to be a full on, jam packed performance. 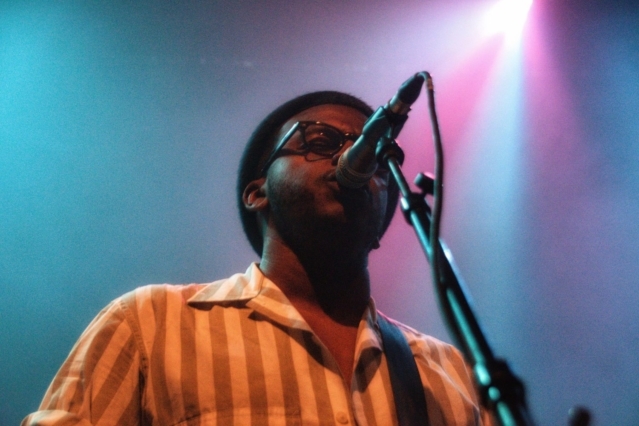 It’s as if the Sinkane band crammed all the excitement they have for their lengthier performances into this quick set. Gallab and crew dashed through some of the best songs off their latest album Life & Livin’ It. “U’Huh”‘s joyous message of everything being alright rang true as the crowd danced themselves into frenzy. 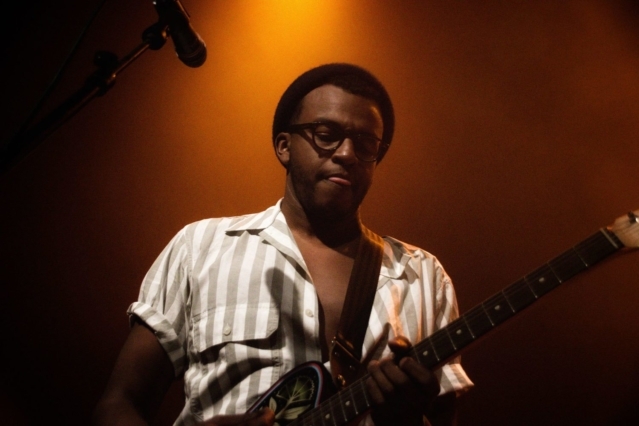 Sinkane’s music just brings that sort of reaction out of people as extended jam sessions form out of nowhere. 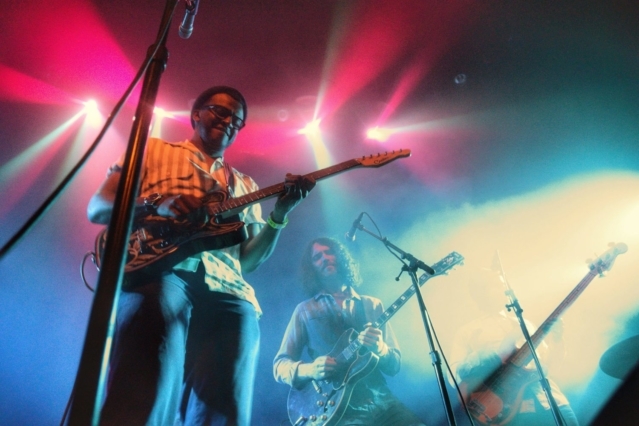 A live Sinkane show infuses that sense of improvisation and expansion to nearly every song, sending them into completely different realms than how they’ve appeared before “How We Be” in particular sounded more boisterous than I had previously heard it live. 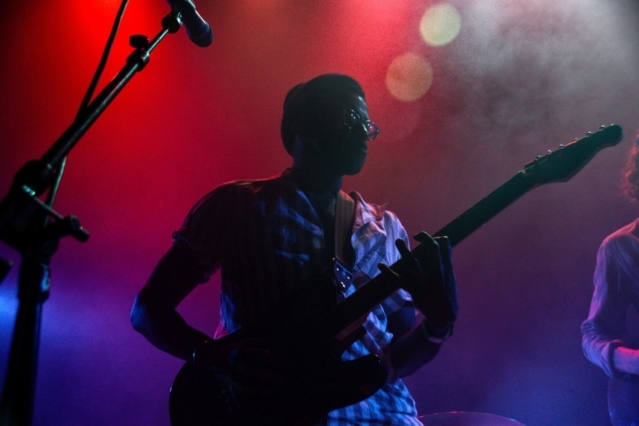 Much like Benn’s set, Sinkane’s music just let’s you drift away with their sound. “Won’t you take me to that place? When I lose my sense of time” Gallab sings during the aptly named “Favorite Song”, grabbing hold of every bit of the audience’s attention with its joyful grooves. The sset came to a close with with a magnificent version of “Telephone”, upping the the disco influence to full tilt by incorporating the “ahhh, I love to love you, baby” chorus from Donna Summer’s hit song during one of the most exhilarating jam sessions of the night. 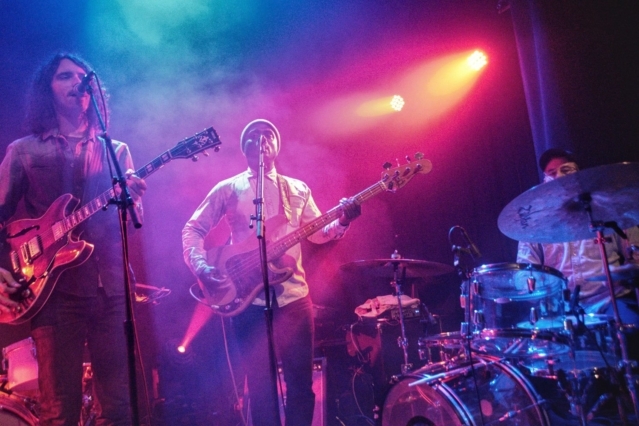 Sinkane is musical treasure to behold and Chicago soaked up every minute of it. 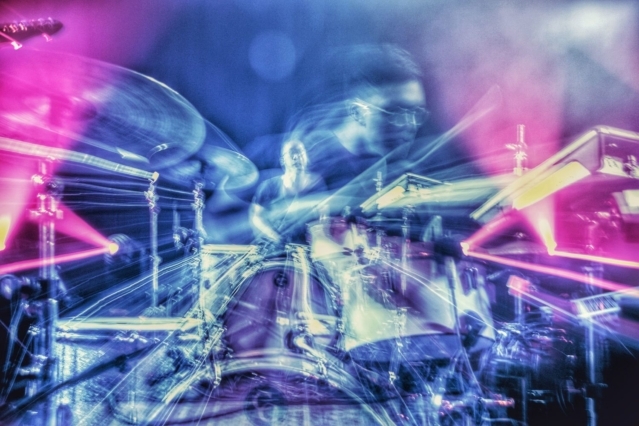 As the lights dimmed, the loud audience turned quiet and a looping sound emerged. 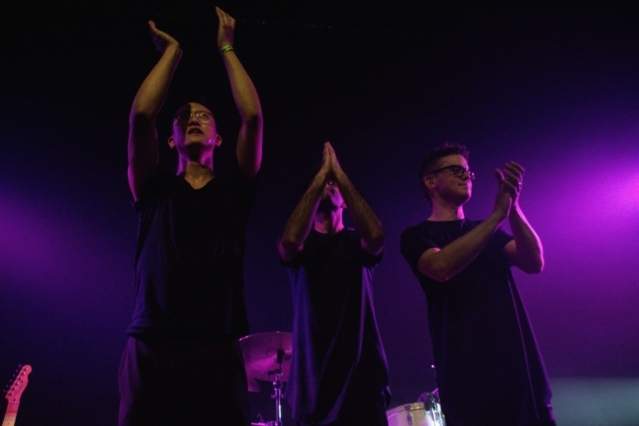 It slowly became louder and louder, reaching its height as Ryan Lott, Rafiq Bhatia, and Ian Chang came to the stage. 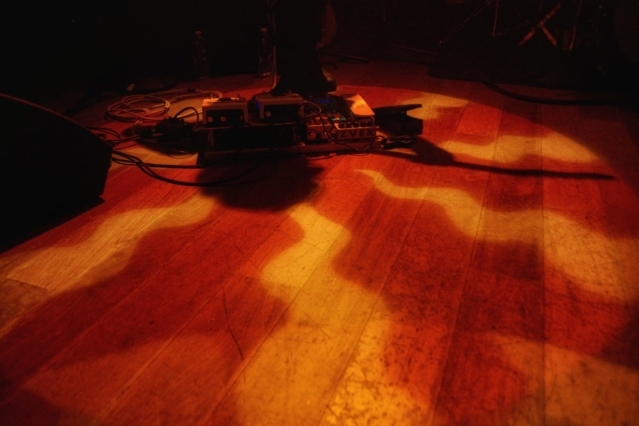 Brighter Wounds is the second album that the trio has worked on together as a single unit, and it showed as they opened the set with “Forty Screams”. 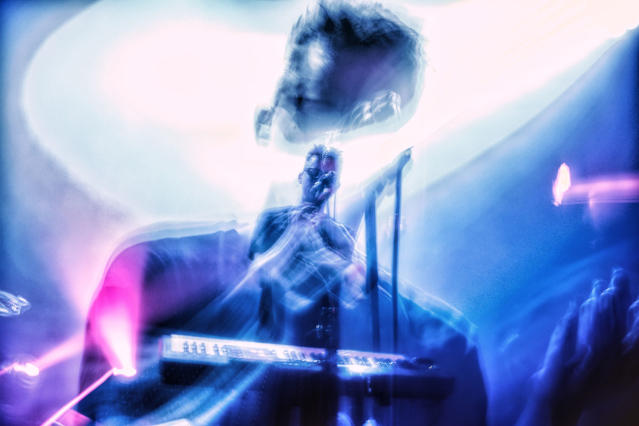 Son Lux were as cohesive as I’ve ever seen them, which made for one of the more enjoyable performance of theirs that I’ve had the pleasure of seeing. 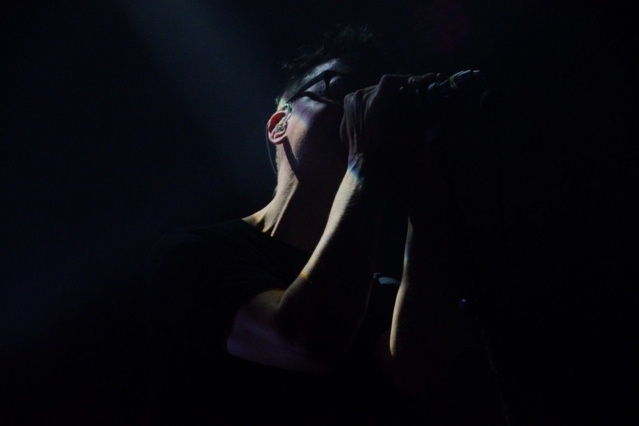 The setlist was obviously focused on Son Lux’s latest songs, but notable tracks from Lanterns and Bones where prominently featured. Only a few songs in and the instantly recognizable opening of “Easy” started to ring out. 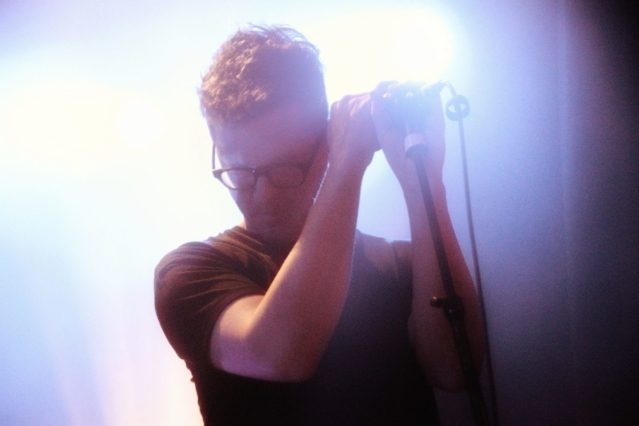 The song has become synonymous with Son Lux’s unique sound, incorporating everything that makes the group so accessible in four minutes. “You Don’t Know Me” hit the spot right in the middle of their time, with its somewhat damning lyrics highlighting Lott’s passionate vocals. Lott throughout the show mentioned just how quiet and respectful the audience was. “It’s because we’re listening” shouted out someone form the crowd. 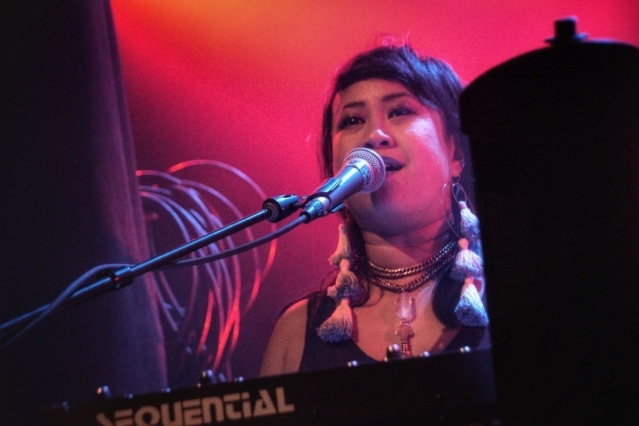 Lott, Bhatia, and Chang’s talent and stage presence is so commanding and extensive that they feel larger than life. 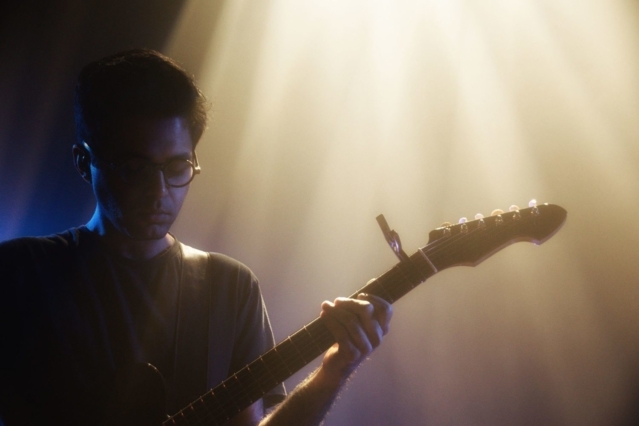 Bhatia is laser focused as he handles his guitar, rocking to and fro as he practically disappears in the sounds he’s creating. 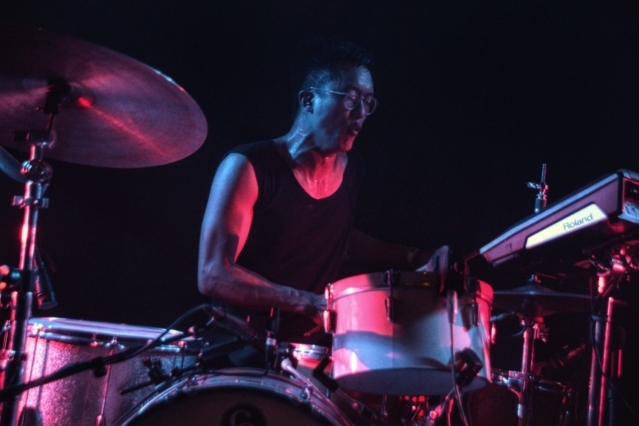 Chang on the other hand is explosive with his stage presence, tearing into the drums with such a voracious ferocity that you see him nearly out of breath at the end of songs. 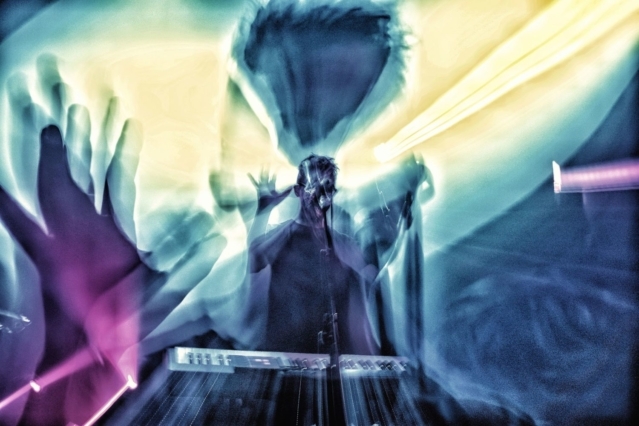 Lott lands somewhere in the middle of his band’s stage presence spectrum. 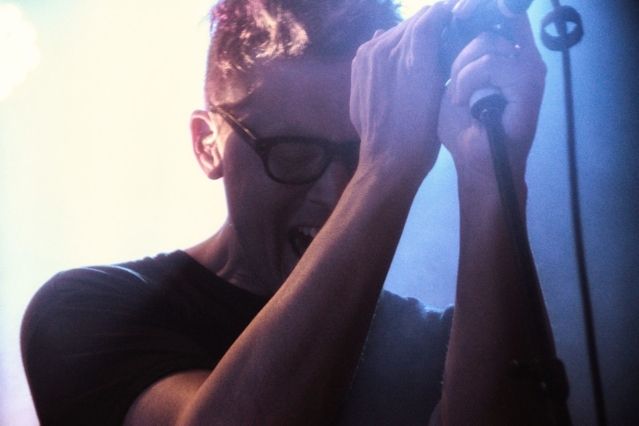 At times he looks pained trying to get his lyrics out, his hands shaking with intensity. Other times, Lott is so lost in the performance that his fingertips glide effortlessly across his keyboard. 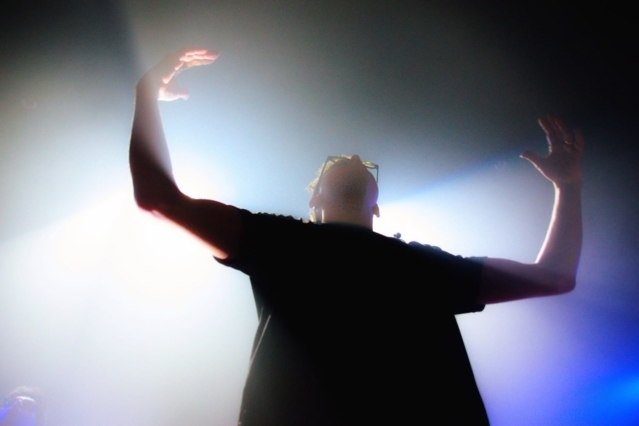 While the flashbacks to older songs were more than welcomed, the biggest highlights came when the focus was on Brighter Wounds. The new album is filled with some of the band’s best songs and lets each member of the band shine bright. 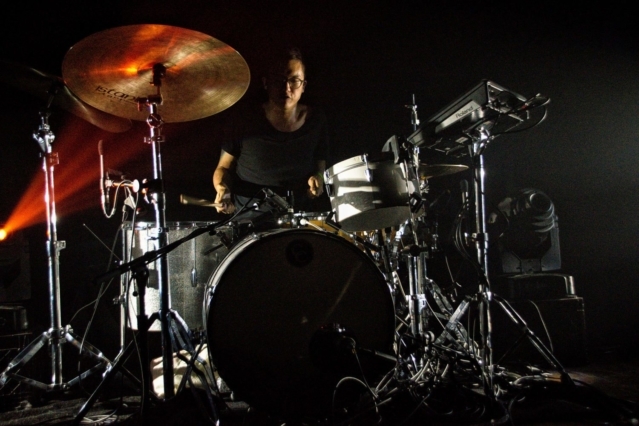 “Surrounded” gave Chang a chance to go all out with a riveting drum solo that looked as exhausting as it was impressive. 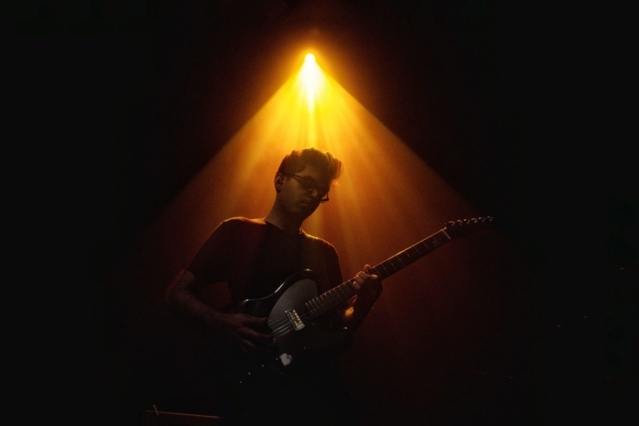 “Stolen” turned the spotlight over Bhatia and his incredible guitar work dominating the track. 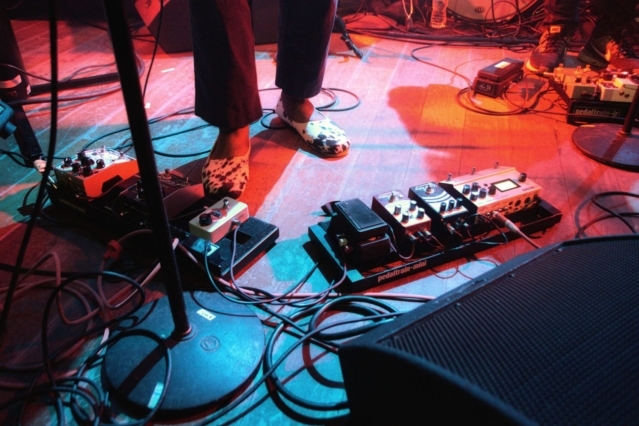 For the final song of the proper set, Lott interweave the voice of the audience with his own during “All Directions”, having them gracefully “ooo” through the latter half of the song. All of these tracks were met with a shocking reference from the crowd, appreciating every second of it. 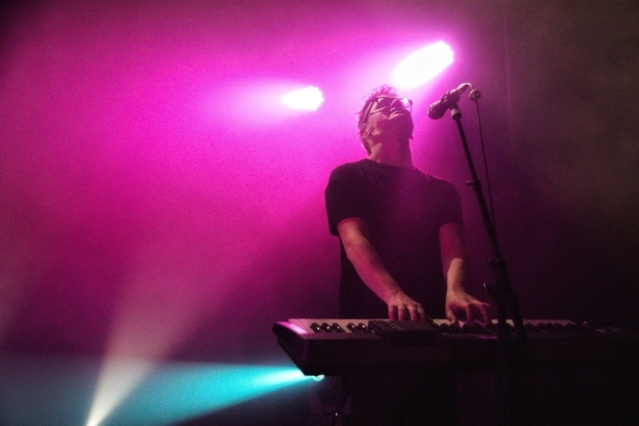 Shining a light on the theatricality of an encore, Son Lux momentary left the stage before returning for their assured final two songs. 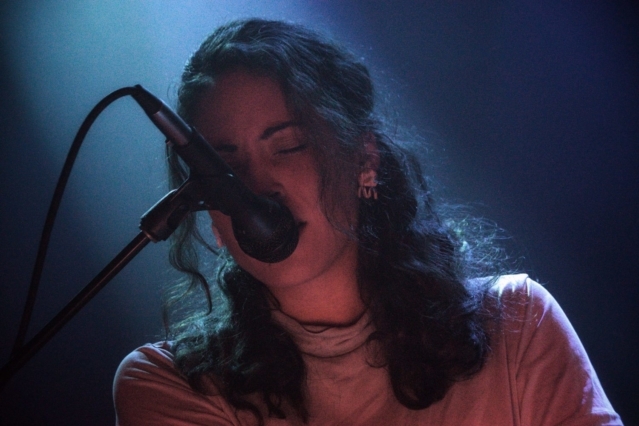 First the calm and meditative quality of “Aquatic” echoed throughout Lincoln Hall, leaving the crowd entranced with its beauty. They were taking in every delicate moment, knowing the set would soon come to an end. After “Aquatic”, Lott stopped everything for a special moment as he invited a young couple to the stage. Everyone instinctively felt want would come and in the hushed venue the young man proposed. It was a quick and adorable aside from the night that lead in to the final song. 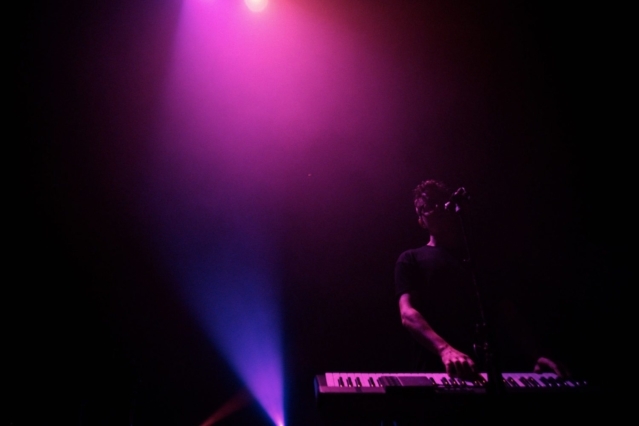 “Lost It To Trying” boomed through Lincoln Hall, satiating a huge portion of the audience who had been waiting patiently for the soaring song. 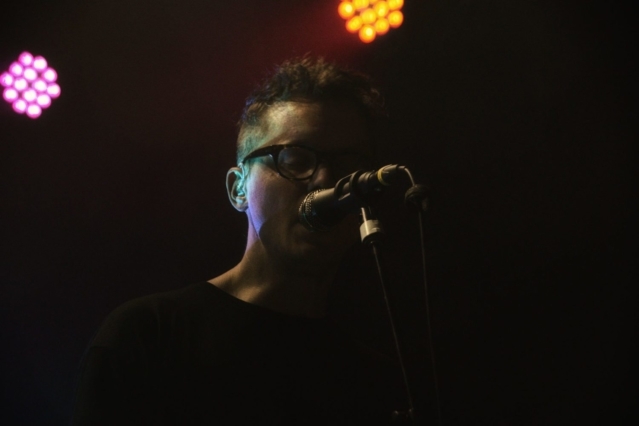 Son Lux drew everything from their collaborative bones to make the evocative song make the impact it deserves and succeeded, leaving the crowd with an amazing performance. 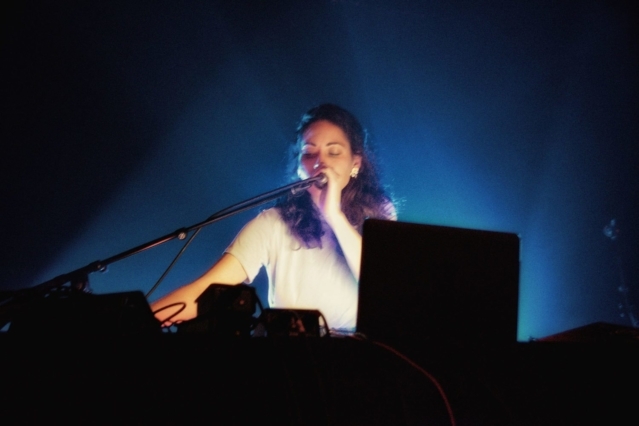 I highly recommend you check out Hanna Benn’s EP DIVIDE, Sinkane’s latest album Life and Livin’ It, and Son Lux’s Brighter Wounds. 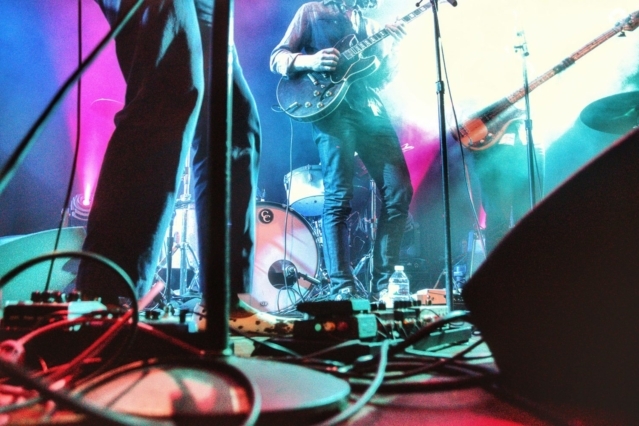 You can also catch Rafiq Bhatia and Ian Chang performing their solo work on April 11th at Schubas.